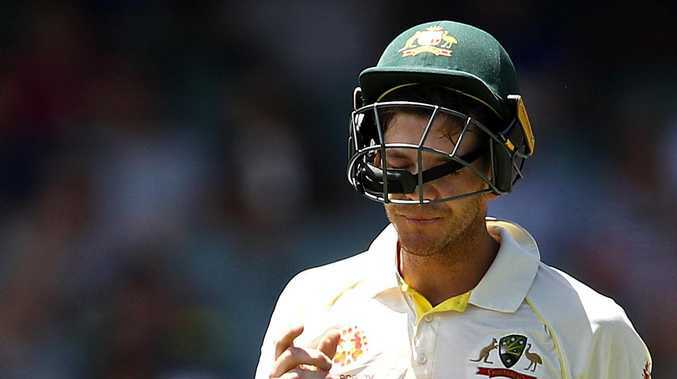 Australia will be sweating on the full fallout from captain Tim Paine's injured finger with a leadership vacuum among a list of problems for the home team which has gone 1-0 down to India. Paine's dismissal in the second over after lunch ended any real hope of Australia stopping the tourists from recording a historic victory in Adelaide and they now head to Perth with confidence soaring. India secured a 31-run win, after the Aussie tail wagged as hard as it could, and put captain Virat Kohli's men on track to win a series in Australia for the first time having won the opening match of a series here for the first time ever. 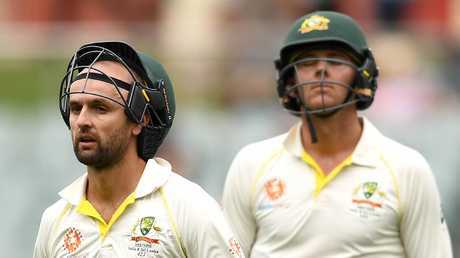 Nathan Lyon, distraught when Josh Hazlewood edged Ravi Ashwin to slip to end the game, capped his status as Australia's best player in the match, going down with a fighting 38 not out as he put some of his batting teammates to shame by taking the match deep in to the final day. But he had too much to do in a match Australia was always chasing after an ordinary first innings batting effort. "We thought we could win, no doubt about that," Paine said after the loss. "We just needed someone to get a big score." "I thought Pujara was probably the difference between the two sides. That's what you want - your five or six batters to score hundreds. "We had opportunities to win this game but just didn't take them. "But we'll take a lot of confidence from today (Monday) but we need someone from our top six to go big." The fallout for Australia is sure to pose questions about the batting line-up but the greatest one could focus around Paine and the team's leadership. Struck on his right index figure before the break by a rising ball from Mohammad Shami, Paine needed treatment from the physio before doing his best to bat on. 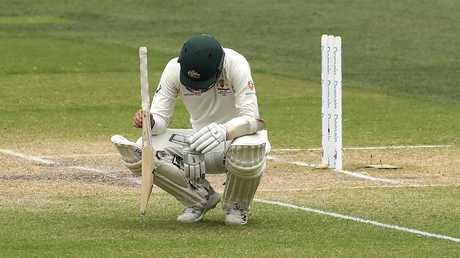 The loss of would-be heroes Travis Head (14) then Shaun Marsh (60) put the load firmly on Paine's shoulders and he did his best to 41 before losing his wicket. With the full extent of his injury unknown, his immediate playing future could determine the course of the series. Paine was hit the same finger which needed seven operations over seven years, after he first broke it in 2010, derailing his Test career until now. "Where he's putting that tape on now is exactly where he broke his finger," ex-Australian captain Ricky Ponting said in commentary. Aussie quick Josh Hazlewood is the team's vice-captain, but would be unlikely to take the reins if Paine was forced on to the sidelines. Mitch Marsh is the other deputy, but was left out of the team and scores of 21 and 11 for Western Australia at the MCG weren't numbers that could earn him a recall for the second Test which begins on Friday. State captains Usman Khawaja, Peter Handscomb and Head are in the team, as is Australia's white-ball leader Aaron Finch. But the opener has own batting issues to deal with after making a first innings duck and then only 11 the second time round in a troubling first effort on home soil. South Australian keeper Alex Carey, vice-captain to Finch in both the one-day and T20 teams, made his maiden Sheffield Shield century on the weekend and could take the gloves if Paine didn't come up. But the captaincy is the real vacancy and if someone else is required to take the reins they face an uphill battle to get Australia back in to the series. premium_icon Unanswered questions: What do we do with Finch?